This entry was posted on August 13, 2014 by Goplasticpallets. Goplasticpallets.com has augmented its rigid pallet box offering by introducing spare feet and runners to its range, which are both available for next day delivery in the UK. Jim Hardisty, Managing Director of Goplasticpallets.com, said: “Rigid plastic pallet boxes are designed for repeated use, but when subjected to frequent heavy handling, the feet and runners can sometimes get damaged. 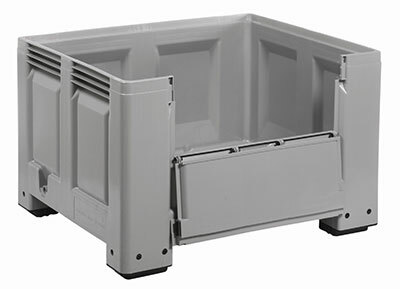 “All of our durable, rigid pallet boxes have replaceable feet and skids, making them much more versatile than fully-moulded versions, as these parts can be easily replaced. “Previously when customers have lost a foot off their container or broken a runner, they’ve had to wait days for spares to be sent or order them in large quantities. 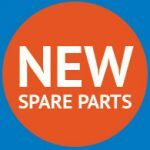 Goplasticpallets.com currently has more than 300 pairs of feet in stock and enough runners to repair 200 containers, with more spare parts to follow. Once damaged parts have been removed, the replacement feet and runners can be easily clipped into place.